…Ms. Reynolds’s video is still stunning, not simply for its raw images. It takes us inside a moment of private horror and public witness, showing how the ubiquitous technology of video can be empowering yet leave the viewer feeling helpless. …Watching, by itself, is a kind of paralysis. We can see this thing — but we’ve seen so many tragedies like it by now, and seeing hasn’t kept them from happening again and again. Witnessing, on the other hand — as an affirmative act, like Ms. Reynolds’s — can make a difference. Without video, this kind of shooting might be an item in a local police blotter rather than national news. In the shooting of Mr. Sterling, the police said that the officers’ body cameras had been dislodged, but private-citizen video provided a record, and the Justice Department opened an investigation. Witnessing spurred the Black Lives Matter movement. After the video of Mr. Castile’s shooting appeared, people protested in the streets and gathered online to commiserate and to share advice on how to record encounters with the police. 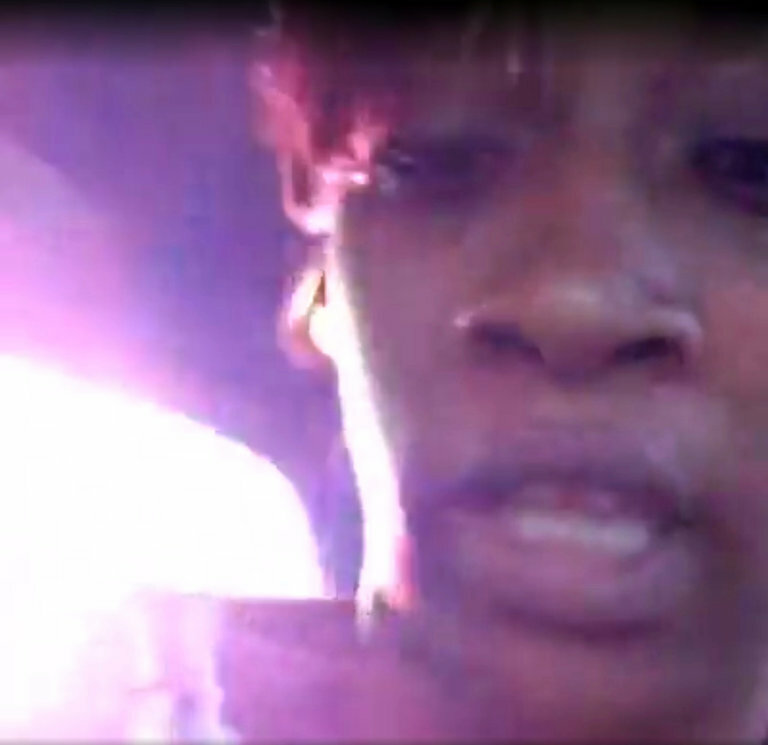 But for all of video’s power to bring us directly into a moment, it can’t help but remind us of the gulf between virtual and physical presence, as Ms. Reynolds’s livecast does in its last wrenching minute. Lights, Camera, We’re Having a Baby! When Danielle and Jon Murray of Raleigh, N.C., learned they were having their first child five years ago, they were too embarrassed to tell their friends and family… When she became pregnant with their second child, the couple, by then married, hosted a gender-reveal party. With their third child, they posted a photo on Facebook. 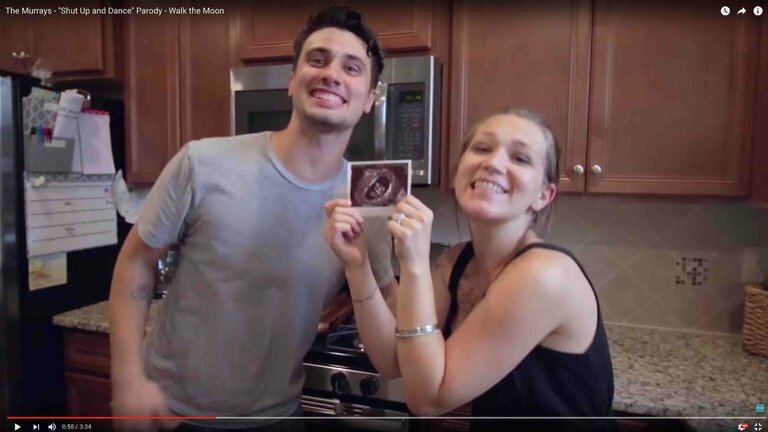 But when she got pregnant for a fourth time last year, Mr. Murray, a videographer, wrote a parody of the electronic hit “Shut Up and Dance” by Walk the Moon and filmed a three-and-a-half-minute video… To date, the video has garnered nearly 1.8 million views. Consider the modern couple who have just learned they’re having a baby. How should they inform their friends and family? Write a note? So 1950s. Place a call? So 1970s. Send a mass email? So 1990s. These days, when couples want to let their loved ones know they’re having a child, they often whip out their cellphones, shoot a video and post it on social media. Couples are putting their babies’ names in lights even before their babies have names. Pregnancy announcement videos have become so popular they’re becoming businesses all their own, with YouTube compilations, Pinterest pages and morning television segments. Whether consumers are looking for a flatbread recipe or watching their favorite foodie celebrity, food is thriving on YouTube. 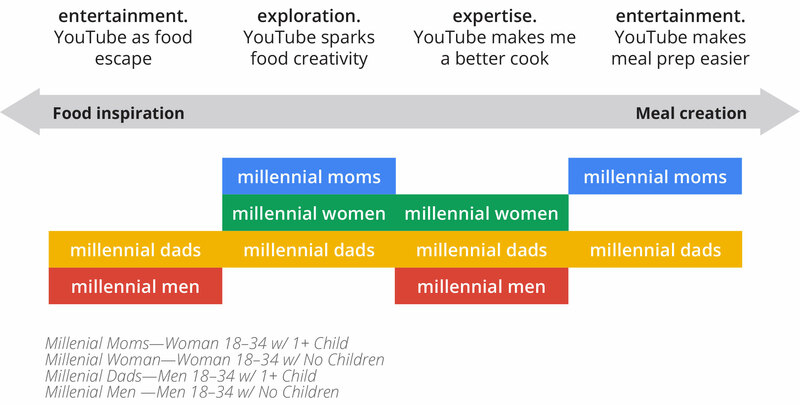 New research from Millward Brown Digital, Firefly, and Google delves into how YouTube is fueling the foodie fan culture, with insights into the audiences who devour food videos. They’re tuning in to watch videos that inspire, educate, or entertain. They’re loyal, passionate, and highly engaged, powering a 280% growth in food channel subscriptions over the past year. If you’ve spent any great deal of time on Facebook lately, you will have seen a growing number of short, colourful recipe videos from the likes of Tastemade and BuzzFeed’s Tasty. Rarely longer than 90 seconds, these clips have a hypnotic quality which has captured the attention of millions — and set their mouths watering. The prevalence of this kind of content isn’t surprising; one of the reasons #foodporn photography has become so popular is that there is something just altogether satisfying about seeing a perfectly arranged plate. Video channels like Tasty and Tastemade have simply taken this one step further, condensing all of the best bits of cooking shows into short, snackable videos. To the average teenager, YouTube is not just about cat videos (although they are the most fun to watch), it is also about YouTubers. Usually, the life of every teenager involves one YouTuber or another. They are a new form of celebrity. They include figures such as Tyler Oakley, a huge personality on the site and an LGBT phenomenon, PewDiePie, a dedicated gamer (with 40 million followers), or, possibly my favourite, Dan and Phil, a duo who play video games, bake and share their most embarrassing experiences with the world. We are drawn in by the avalanche of content they create, but also by the lives of the YouTubers themselves. For phangirls like me, the problem is that watching these YouTubers tricks our minds into thinking that we are interacting with other people. Harry [Charlie bit him in the viral video]: [Without the video] I probably wouldn’t be going to the school I go to. Howard (their dad): All four boys go to a nice school, which we pay for. What the video has done for us is redefine normal. Coming home from school and having an interview on Skype is normal. Harry: We go to America sometimes; we go to London. Howard: So if someone who’s seen one of those comes up and says, “I saw you skiing,” that must feel a little strange. Charlie: Yeah. It feels like they’re spying. Howard: Ha — is that really what you mean? They’re intruding on your life? Howard: Okay. We’ve never had this discussion before. You know, there’s a set of people who take it as a badge of honor to get bitten by Charlie. Charlie: And then they scream! Howard: We have an unwritten rule. If someone asks to be bitten, Charlie gets to bite however hard he wants to.